A university is an ecosystem with many interacting parts. The resiliency of a university depends on the procedures and practices in place for emergency management. 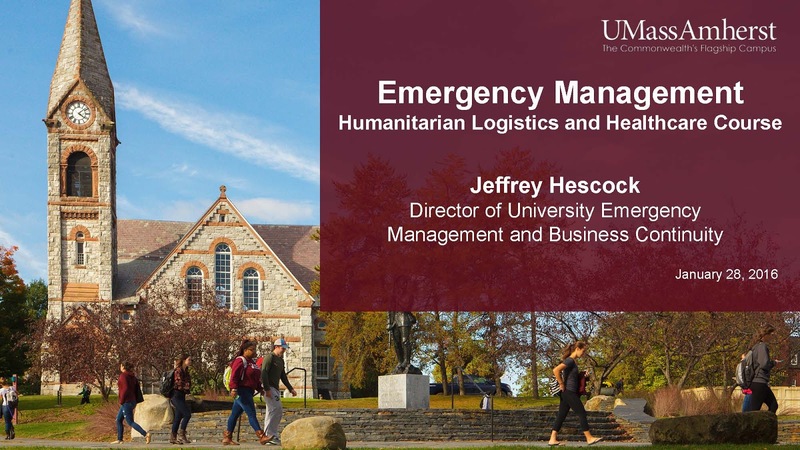 Today, we had the pleasure of hearing Mr. Jeff Hescock, the Director of Emergency Management and Business Continuity at UMass Amherst, in my Humanitarian Logistics and Healthcare class at the Isenberg School. He was a terrific Professor for a Day! Mr. Hescock's described how his group, with many partners at UMass, prepares for a variety of emergencies, both man-made and natural ones, and assesses a page of risks that can affect students, research, energy, and infrastructure, to start. He also spoke of the emergency alert system, which includes text and email alerts, as well as sirens, and postings on the UMass homepage. The importance of relaying timely information was emphasized as well as post incident discussions and evaluations. The National Weather Service recently awarded UMass Amherst a Storm Ready designation, the first public university in Massachusetts to receive this designation. I also very much enjoyed his discussion of mitigation in terms of identifying flood plain regions and potential power outages. Luckily, we have our own power plant on campus but it can only generate about 60% of the university's needs. hence, there are generators in place at crucial locations. UMass Amherst also works closely with the ton of Amherst in emergencies especially in terms of planned events (the Super Bowl, concerts at the Mullins Center, for example). Also, there are strong relationships with the other colleges in our 5 college system. A major part of his presentation covered the response to the Boston Marathon bombing that took place at UMass Dartmouth, when he worked at the UMass President's office, because one of the perpetrators was a student there. This event emphasized vividly the importance of having best practices in place, including evacuation and sheltering. Many of the students, who could not go home, once UMass Dartmouth was evacuated, were sheltered at a local high school. How a university responds to an emergency and deals with the news media can also have far-reaching impacts on its reputation. UMass Amherst regularly runs different emergency exercises, including a sheltering exercise a few years ago that several of my students and I observed. This year, in April, it will be building a healthcare crisis exercise, inspired by outbreaks of meningitis at various campuses last year (at Princeton and the University of Oregon, for example). Mr. Hescock's presentation can be downloaded here. Clearly, the importance of information sharing, collaboration, and great teamwork were highlighted. And, of course, when it comes to business continuity, one can't underestimate the importance of information technology as well as shelter and food for students! Many thanks to Mr. Hescock for such an illuminating and educational guest lecture today. Students benefit greatly from ghearing from practitioners. The new semester has begun and I am delighted to again be teaching my Humanitarian Logistics and Healthcare class at the Isenberg School of Management. As I mentioned in a previous post, I am also busy co-editing a volume on Dynamics of Disasters with two great colleagues. A theme that is resonating time and time again with me when it comes to disaster relief and humanitarian operations is that of the criticality of transportation. The below poster I have on my office door. 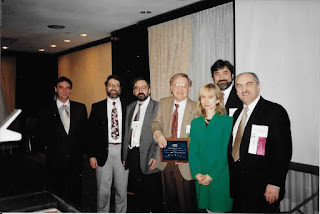 It was prepared courtesy of the American Mathematical Society (AMS) when I was interviewed by Michael Breen for a Mathematical Moments podcast on my earlier research on humanitarian supply chains. The podcast can be accessed here. Transportation is essential to disaster relief and humanitarian operations, which also includes recovery in the disaster management life cycle. Transportation is used in the evacuation of people, animals, etc., in anticipation of a disaster. It is fundamental to needs assessment at the disaster sites, once the disaster strikes, to determine the extent of casualties and survivors' demand for necessary relief supplies. It is even an essential component for supply collections from donors or places of procurement. Finally, transportation in often very challenging environments to points of demand can involve multiple different modes of transportation with great time pressures, followed by last mile deliveries. And, when it comes to recovery post a disaster, the removal of debris and detritus due to the sustained damage cannot happen without transportation, as well as the followup rebuilding. the former was a huge issue post the Haiti devastating earthquake of 2010, as vividly captured in a New York Times OpEd by our Georgia Tech operations research colleagues. Given the importance of transportation in this space there have arisen partnerships between private companies and humanitarian organizations as well as the well-known Denton Program, for private U.S. citizens and organizations to use space available on U.S. military cargo planes to transport humanitarian goods to countries in need. I am delighted that one of the highlights of my class will include speakers from the Westover Base in Chicopee who will be discussing military logistics and the Denton Program. My most recent study, Freight Service Provision for Disaster Relief: A Competitive Network Model with Computations, to appear in Dynamics of Disasters, I.S. 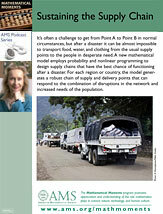 Kotsireas, A. Nagurney, and P.M. Pardalos, Eds., Springer International Publishing Switzerland, focuses on freight service provision, under competition, for disaster relief. Therein, I argue the importance of capturing nonlinearities associated with transportation in humanitarian operations to capture congestion as well as competition and even material convergence. The new semester begins at UMass Amherst on Tuesday. It will be a very busy semester but a thrilling one. Besides teaching two courses at the Isenberg School, I will also be hosting speakers not only in my classes but also through the UMass Amherst INFORMS Student Chapter as its Faculty Advisor. Plus, I will be traveling to give invited lectures at various universities and companies. 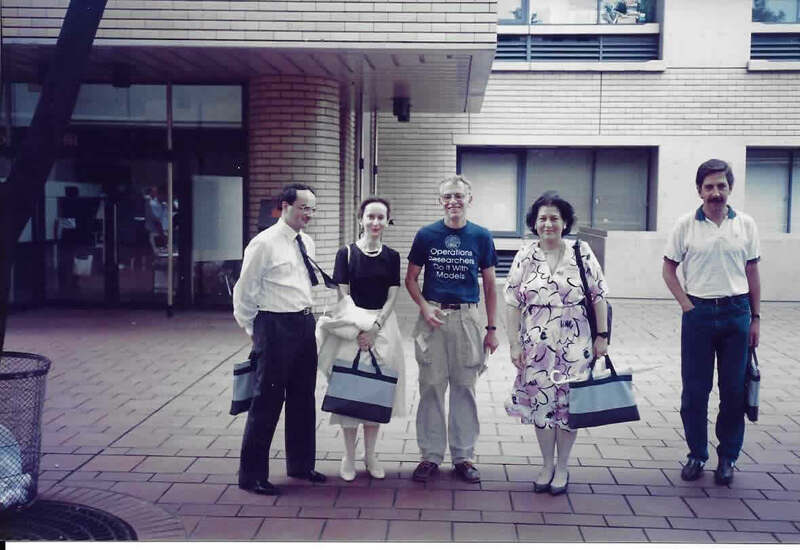 I very much enjoy traveling to different locations and giving talks and always come back with new ideas, an expanded professional network, wonderful memories, and, sometimes, even adventures. Plus, what could be better than interacting with faculty, students, and practitioners that come to your presentations? 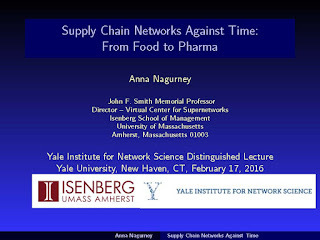 The first invited seminar that I am giving in 2016 will be at Yale University. Although I have given talks at such Ivy League schools (at some of these multiple times) as: Harvard, Brown, Cornell, and UPenn, I have never before spoken at Yale. For this reason, and quite a few others, I am quite excited about speaking there on February 17, 2016. Since my host at Yale will be the Network Science Institute, it will be extra special to be surrounded by those who share my passion for networks! 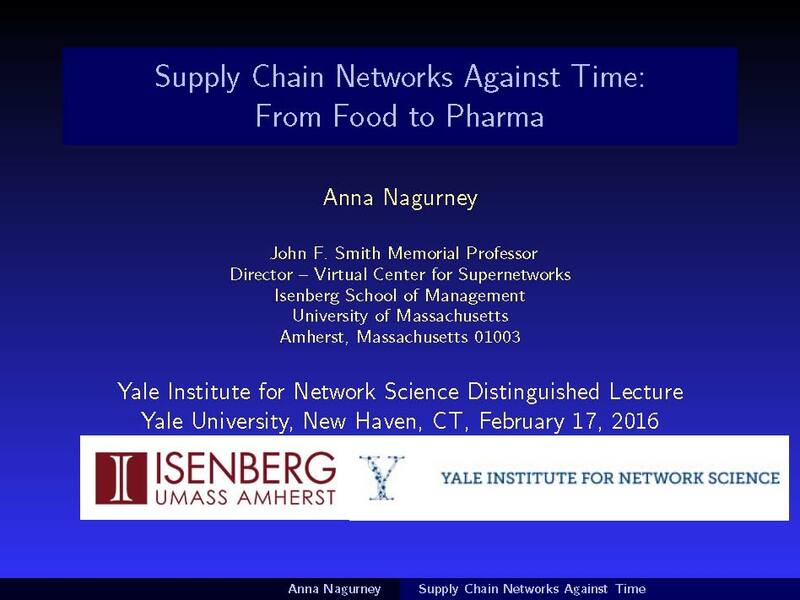 I am speaking in the Yale Institute for Network Science (YINS) Distinguished Lecture Series and the title of my presentation is: "Supply Chain Networks Against Time: From Food to Pharma." The abstract and announcement YINS has already graciously posted. My presentation will be videotaped. The lecture and Q&A will take place from noon until 1:30PM. I have started working on my presentation, which I will be polishing over the next couple of weeks. The Directors of the Institute for Network Science are Professor Nicholas A. Christakis and Professor Daniel Speilman. The Executive Director is Dr. Tom Keegan. The Faculty in Residence at the Institute represent many different disciplines from Engineering and Computer Science to Sociology, so I will do my best to have something fascinating for each of them. The Directors have done extraordinary research that has also been widely covered by the media. The YINS Distinguished Lecture Series has hosted such network science colleagues as Albert-László Barabási (whom I had dinner with on October 30,2015), Matthew O. Jackson of Stanford, and Jennifer Chayes of Microsoft Research, among others. Also, I expect to see the INFORMS President, Professor Ed Kaplan, there, which will be an additional highlight of my visit to Yale. This is my first blogpost of the New 2016 Year. 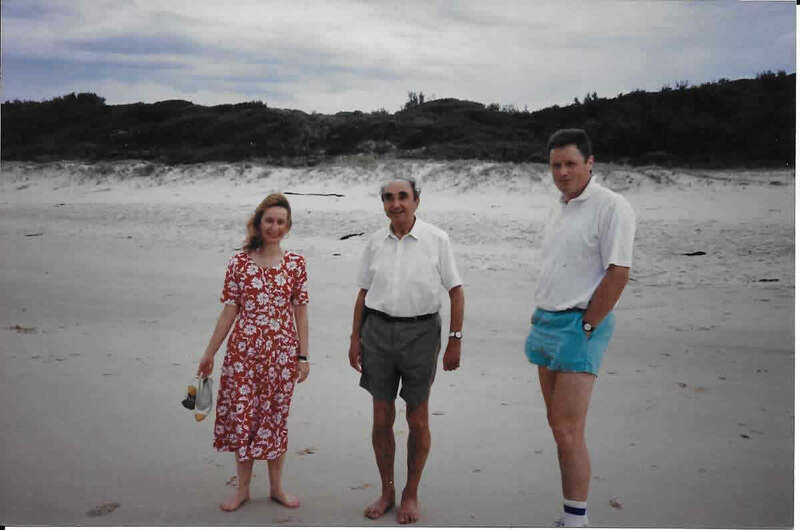 I thought it fitting to write about an activity that I have been engaged in both last year and this year and that has also obsessed me ever since I wrote my first book - Network Economics: A Variational Inequality Approach, which was published by Kluwer (now Springer) in 1993, and the second edition of which appeared in 1999. 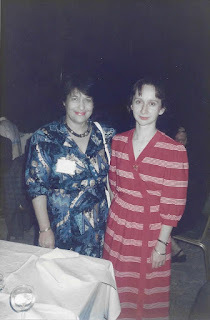 This blogspot is about writing and editing books. I was also inspired by an article in The New York Times, "Bill Gates: Billionaire Book Critic," which highlighted what a voracious reader Bill Gates is, who reads books on quite technical and scientific topics, and then comments on them (he only blogs about books that he enjoys) on his blog: Gates Notes. Of course, books mentioned on his blog experience what is known as "Gate's Bump" in terms of sales - reminiscences of Oprah Winfrey's effects on book sales of a while back. This past year, I was very busy writing the book, Competing on Supply Chain Quality: A Network Economics Perspective, with Dong Li, which will be out within the next month. The book is being published by Springer International Publishing Switzerland. The book is the second volume in the new Springer Series on Supply Chain Management. The editor of this book series is Distinguished University Professor Christopher S. Tang of UCLA's Anderson School of Management. My co-author, who is an Isenberg 2015 PhD alumna, and is now an Assistant Professor of Supply Chain / Operations Management at Arkansas State University, and I are very excited about the book's upcoming publication. It is 400 pages in length and represents a half decade of our collaborative research. There will also be an ebook version available. 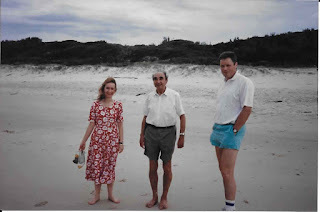 Writing books (all of my books, thus far, have been nonfiction, since they are scientific monographs) is challenging but as Professor Dimitri Bertsekas of MIT told me years ago, and whose eminent advice I follow: "Anna, when you have 5 to 10 papers on a topic, you write a book." On December 9, 2015, I had the pleasure of giving an invited seminar at MIT, and Professor Joe Sussman of the Transportation and Logistics Center there and I had a wonderful conversation, which included the writing of our books. He noted that if you think that you are 95% finished you still have a ways to go and that is so true -- that last leg of writing a book, which involves so much checking and paying extensive attention to details, can sometimes seem the most onerous. The Competing on Supply Chain Quality book is my twelfth book. In the meantime, 2016 promises to be extra exciting because I am also involved in co-editing a book on Dynamics of Disasters, with Springer also as the publisher. 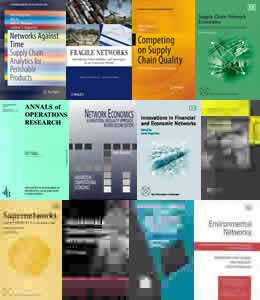 Although I have edited books alone, in particular, the Innovations in Financial and Networks, published in 2003, and the Annals of Operations Research (hardbound) volume on Advances in Equilibrium Modeling, Analysis, and Computations, published in 1993, the Dynamics of Disasters book I am co-editing with Distinguished University Professor Panos M. Pardalos of the University of Florida and Professor Ilias Kotsireas of Wilfrid Laurier University. The volume is based on refereed papers submitted and presented at the conference on the same theme that we organized and which took place last summer in Kalamata, Greece with additional invited papers from experts in the field. In editing a book, selecting good referees is important and the reports need to be done in a timely manner. At the same time, one wants to make sure that there is both breadth and depth in the contributions. Authors also, hopefully, revise their papers without delay. An edited volume can bring different perspectives to a topic and I enjoy having contributors from many different countries as well as contributions, in this case, from practitioners, because of the theme of the book. Having such responsive and wonderful co-editors also makes for a very enjoyable book editing project! When it comes to editing a book, sometimes a publisher will help out in making sure the stylefiles are consistent and, at other times, the onus is on the editor to even put the references in a consistent manner. Some publishers help with the stylistic editing whereas others do not. Editing a book can take longer than writing one, since in writing a book, the authors have more control and the work and output only depends on them. Three of my books were single-authored, five of my books (including the Competing on Supply Chain Quality book) had one co-author, one book had two co-authors (both females), and one book (my shortest one) had three co-authors! And, as I mentioned before, two books I edited myself, and the forthcoming Dynamics of Disasters book, I am co-editing with two colleagues. I hope that part of my legacy will be the books that I have written. At the very least, some of them are my most highly cited publications, so I know that there is value to them and the hard work is worth it. I especially appreciate when students from around the world thank me for writing books. Happy New Year to my readers! Best of luck with your writing projects.